Thanks to George Da Soulchild-kaufela for this up to date list of winners last night! The picture – Slap Dee – triple winner! The Zambian Music Awards honour achievements in the recording arts and support the Zambian music industry without regard to album sales or chart position. Here is the full winners list of the ZMAs held last night. •Best famale radio dj went to Lady MC from radio 4. •Best Male radio DJ went to Dazzle also from radio 4. •Best collaboration on a song went to chef 187,Pilato and Afunika – Kumwesu. •Best Kalindula album went to James Chamanyazi’s – Anthi Ndiwo album. •Best dancehall album went to B’flo – Voiceless woman. •Best RnB album went to Roberto’s -My name is. •Best HipHop/Rap album was won by Slap Dee’s – The business album. •Best male mainstream album was won by Slap Dee -The business. •Best Gospel album went to Magg 44. •Best Niyatu album was won by Afunika. •Best song writer went to Roberto. •Best Jazz album went to uncle Rex for his “Fellowship” album. •Best live recording album went to the Sakala Brothers – Born In Matero..
•Best female mainstream went to Judy. •Best Mainstream album was won by Slap Dee. •Best female gospel artist was won by Karen. •Best male artist went to Pompi. •Best new artist was won by Alphonzo aka muzo. •Song of the year was won by Chief,Afunika and pilato -Kumwesu. The show was graced by great performances by Mumba Yachi, Pilato, Salma, Roberto, Ruff Maids, Abel Musuka and Marky2 just to mention a few. Once again Marky2 was the biggest loser on the night he walked away empty handed while his biggest rival Slap Dee scored a hat trick. I am very certain there’s more reaction to come this whole week on tweeter,facebook from fans and those that watched last nights awards. The ZMA’s are sponsored by Mosi Lager. “It’s award season and excitement is in the air once again! The hardest working artists on the local scene get to be rewarded, and 2014 sees the 2nd edition of the Zambian Music Awards sponsored by Mosi Lager, below is a list of the nominees for some of this year’s awards – who’s your money on? Zambian music has continued to conquer Africa and the world in more ways than most people actually give it credit for – little by little our urban infectious sound has continued to spread. This could be credited to all the artistes, promoters and music producers that are doing the hard work and now producing quality music that is marketable to the world. The local music industry needs a huge injection of investment from government and the private sector as it still lacks professional artist management and promotion. The local media, both print and electronic, does what it can to help put the artistes in the limelight, even when most people feel things would be much better if there were a dedicated press put in place to help grow the industry. Another thing that would help would be an official website or a way to release singles, as most single in Zambia are released on Twitter or Facebook in a typically amateur way of doing things. Nevertheless the infectious sounds continue to grow and conquer – we recently witnessed one of the most amazing achievements in Zambia music history – rap group Zonefam won a Channel O award against all odds in a category were no one give them a chance, and in which they were up against Africa’s heavy weights, big names with popular songs that include Tear Gas a South African hip-hop trio who in the past have won a few of channel O awards themselves. Other artists up against our own Zonefam were Aka a high profile artist in his own right, Mi Casa, Eme and Naeto C featuring D’Banj, famous in and outside Africa. Everyone on the list is a high profile artist with bigger and more experienced management and promoters but against all odds Zonefam won the award – it was a victory not only for the rap group but for the whole Zambian music industry as it gives more hope to other Zambian artistes to aim for the sky and achieve the impossible. Zonefam’s Channel O award indicates that Zambian Music can no longer be held back. Some of our celebrated Zambian artistes out there include Mampi, JK, Roberto, Petersen, B-flow, Ozzy and Shyman just to mention a few. These guys do truly carry the Zambian flag high and help the Zambian music grow every time they perform outside the country. Once more congratulations to Zonefam, the artists and their management. “Early this year witnessed the successful hosting of the first ever Zambia Music Awards sponsored by Mosi Lager honouring local artists with 31 categories in total, ranging from Best Traditional Performer to Best Keyboard Player to even Best Radio DJ! We all know that radio DJ’s play a vital role in the promotion of local music! For next year organisers of the Zambia Music Awards are aiming higher with the inclusion of 3 more categories to the 31 that already exist. To sensitize the general public and create more awareness of these awards and nomination procedures, The Zambia Music Awards crew has teamed up with R&G Events for the launch party of the 2014 Zambia Music Awards and the date is set for the 16th of November 2013. The launch party will have all the hottest local artists invited by Mosi, and will be a platform to introduce the public to the 2014 campaign. Screens will be fitted around the venue with presentations to explain the voting process and how to nominate for each of the 34 categories. There will be great live performances by a few artists to get you in the mood! 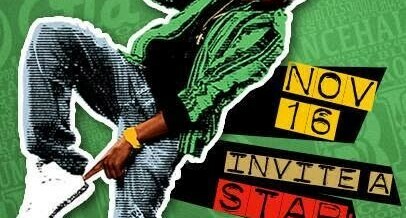 More information will also be made available on the official sites www.zambiamusicawards.com and the Facebook page www.facebook.com/ZambiaMusicAwards. I must add that the 2013 Awards were well organised and attended. Rapper Slap Dee was the biggest winner on the night walking away with six awards. Kaufela – co-host of our weekly Sunday night radio show on Zambezi 107.7 fm, contributes regularly to the blog. Here’s his latest piece about the Zambian music scene! Pompi’s ‘Mizu’ album continues to get praise, writes Kaufela, Pompi is a musician, artist as well as an entrepreneur – being CEO of Lota House (House of Dreamers), innovators and leaders in the Zambian media industry. Pompi, more than many other Zambian musicians has had the opportunity to be recognized on an ‘all African’ level, with videos that have played on commercial channels such as MTV Base and Channel O (where he finished off 2009 as number one on ‘Young Gifted And African’). Pompi is acting as an ambassador to African youth, showing the achievements that can be made from talent – which he has in abundance – recognized by credible individuals such as Chief Igbinedion of Nigeria’s Benin State, Prince Africa Zulu in South Africa and the 4th president of Zambia His Excellency Rupiah Banda. Pompi who is both a singer and a rapper, besides making good music, is a marvel to watch when performing because of his creative buildups and coordinated movements. Pompi’s major objectives are to make music that inspires and to highlight the beauty of our African culture which he believes is being lost, due to the westernized perception of the world shown by the media. He believes Africans should have an identity with features unique to them,, such as their type of music and fashion. His new album ‘Muzi’ (meaning ‘Roots’) has continued to receive lots of praise and it’s safe to say it’s one of the top selling albums in the country. Pompi picked up 2 awards at the just ended Zambian Music Awards in the categories of Best Male Gospel Artist and Best Gospel Album respectively. But why is Pompi’s album ‘Muzi’ making so much sense? Here is what Kay Smash posted on his Facebook timeline: “Sensible lyrics, personal branding, intelligence, humility and he has direction and vision as well as being proud of what he is doing. Great album”! Kay Smash had 32 comments on this status and all 32 comments had nothing but great things to say about the ‘Mizu’ album. I couldn’t agree more! Says George.